This is the last SDC newsletter for the year – and my first. I’ll be in touch again in mid-January, unless there is information you would like me to send around before then. As Suze noted in the last newsletter, please now forward any content for the newsletter to me via newsletter@sustainabledunedincity.org.nz, and any other correspondence to SDC secretary, Vivienne Bryner, on secretary@sustainabledunedincity.org.nz. I’ve changed the layout of the newsletter a wee bit – let me know if that works (or not) for you, or of any other suggestions you may have. (I had hoped to send this from the newsletter website but the formatting there is taking a while to get under control). Have a great holiday. Hope to see many of you at the Keep the Coal in the Hole Summer Festival! NO GreenDrinks Dunedin this month. However, see following for the proposed list of topics for 2012. NO GreenDrinks Dunedin this month. Our next meeting will be on 26th Thursday in January 2012 (topic is the NEV Community Development Programme). To get on the GreenDrinks Dunedin elist – or to host a GreenDrinks – please contact Maureen on mhoward@slingshot.co.nz. · Attracting and holding moisture and nutrients such as nitrogen and phosphorus, helping to reduce nutrient run-off into streams. This session will bring together representatives of business, local government and community groups to discuss the potential role of biochar in Otago’s future. Your time and input is valued. We hope to see you there. Venue: The Organic Patch”: 100 Hagart Alexander Drive, Mosgiel, Dunedin. 9am Saturday the 10th December to 4pm Sunday the 11th December. “Biochar may represent the single most important initiative for humanity’s environmental and agricultural future.” Dr Tim Flannery. · The financial benefits of biochar. For home gardeners, commercial and small-scale land users, this event is the best opportunity in New Zealand to interact with an international biochar specialist, Dr.Paul Taylor, author of “The Biochar Revolution”. Family or partners: 20% discount for 2nd or more persons. The earlier people register the easier it is for organisers to plan ahead, so they are offering a generous discount to anyone who signs up before 20 December. 20 -23 January 2010 Keep the Coal in the Hole Summer Festival will be held in Mataura, Southland, from 20-23rd January 2012, on the farm of lignite opponent Mike Dumbar, half a kilometre from the pilot briquetting plant now being built by Solid Energy. Coal Action Network Aotearoa is excited to be organising a four day festival to stand alongside the people of Southland and build a movement around climate justice. There will be family camping, live music, fun for the kids, big cook-ups, visits to the proposed lignite mine, workshops on strategy, information from various groups actively campaigning against coal, training in non-violent direct action, videos, and an Open Day in Mataura with speakers and discussion groups on the issues relating to lignite. Please think about whether you would like your group to have a stall there. Latest newsflash: WWF-NZ will be at the Keep the Coal in the Hole Summer Festival. WWF-New Zealand works alongside CANA to oppose lignite mining and processing in Southland. We’ll be at the SummerFest alongside you to demonstrate our support. As the most emissions intensive fossil fuel development on the cards in this country, it is the single most important scheme to stop in order to contribute to tackling global climate change. But lignite is just one of many energy issues facing New Zealand. WWF works to advocate for developing the sustainable, renewable energy solutions we have in abundance. We are helped in this mission by a new team of advocates – The 100% Possible Clean Energy Advocates Network. Our advocates do for broader energy issues what this lignite group do for the lignite issue – to be the voice of reason and keep the profile up in the media and in direct correspondence with officials and companies involved. It strikes me that some of you on this list may like to join WWF as a 100% Possible Advocate, and be the voice of reason against fossil fuels, and for renewable energy in a wider context than lignite. This week the new government signalled that mining on public conservation land is again on its agenda. It has broken the promise made last year to give all New Zealanders a say about significant mining projects on conservation land. On Monday, Conservation Minister Kate Wilkinson sent a letter to Forest & Bird saying the government will not publicly notify the access arrangement for a planned 160-hectare open-cast coal mine on the Denniston Plateau. This would allow all New Zealanders to have a say on whether the mine should go ahead. The Denniston Plateau is an extraordinary and wild part of New Zealand, with a unique ecosystem that is home to great spotted kiwi, kaka, West Coast geckos, giant land snails, bonsai rata and many other special plants and animals. You can help. Please send this e-card to Prime Minister John Key today to ask him to keep his government’s promise. Thank you very much from Forest & Bird. Listen out for the sound of sirens for this communal collection for four food banks. Volunteer collectors or sorters to assemble at Fire Stations in St Kilda, Dunedin North, Roslyn and Dunedin Central. Wear a fluorescent vest. John Shultis is an Associate Professor in the Ecosystem Science and Management Program at the University of Northern British Columbia in Canada. His interdisciplinary research focuses on conservation science and studies, including various protected area planning and management issues, from ecological impacts of tourism, to historical analyses of environmental attitudes, to the impact of neoliberalism on global park policy. His doctoral studies were completed in the Department of Geography at the University of Otago. The Draft Spatial Plan describes what kind of city we want by means of a set of strategic directions for Dunedin’s growth and development for the next 30+ years. These strategic directions include ensuring Dunedin remains resilient, liveable, economically successful and connected. It will be used to improve the long-term planning and co-ordination of the DCC’s activities by linking land-use planning to how future infrastructure and services may be provided or limited. It will also provide direction for the second generation District Plan, alongside other DCC plans and strategies. The installation of a seating area at Craigieburn has been completed and the area will include an interpretative sign naming the area “Tanners View”. The seats made by Cargill Enterprises and installed by Delta staff, provide a welcome viewing area across the valley and are in the same place where the 1890′s photograph of Edwin Tanner was taken looking out across the Leith Valley. Originally from Portsmouth, England, Tanner had travelled extensively while in the navy. He arrived in Dunedin around 1863 possibly lured here by the Otago gold rush. He worked as a surveyor’s assistant and cook on survey teams throughout Otago. His self-taught education, ability and intelligence saw him become registered as an authorised surveyor in 1870 and he later served on the Maori Hill Borough Council from 1879. Tanner was a very engaging person in the local community and he and Elizabeth made Craigieburn the social hub of the district. Do you know of an amazing podcast everyone should listen to? An article or a blog or a site that would be of interest to all SDC members? Send me a short explanation and the link newsletter@sustainabledunedincity.org.nz, and we’ll add it in here. Links preferable to attachments, because they tend to fill up everyone’s inboxes. The “New Zealand Investor” has the creation of our money, debt-free featured on its cover page, and in the commentary, and as the feature article . When you shop fair this holiday season, you purchase gifts that give twice. Trade Aid ensures that people receive fair wages, that workers and communities are treated with dignity, and that artisans and producers take steps to preserve the environment. Trade Aid builds long lasting relationships between producers in developing countries and businesses and consumers in more developed areas in New Zealand. Give vouchers; your own ones giving of your time and/or service (I once got one for a pan full of home-made jam of my chosen flavour), or commercial vouchers. Bake, make, give saved seeds, sew, create . . .
Bokashi Composting System: Great presents!!! This composting method ferments kitchen waste in an airtight double bucket. The top bucket has a tight fitting lid and holes in its base to allow drainage of liquids in to the lower bucket. Nice and simple, no smell. Bokashi buckets and Compost-Zing are available from DCC Customer Services Agencies: 15 litre bucket and one bag of Compost-Zing $36.00; 10 litre bucket and one bag of Compost-Zing $33.00; Compost-Zing costs $6.00 per bag. For more information on this highly effective, convenient method of disposing organic waste, see www.bokashi.co.nz. Looking for that exclusive Dunedin Christmas gift for friends and family far, far away? Or even those close by? Look no further. Dunedin Botanic Garden 2012 calendars are now on sale. Spiral bound, full of great colour photos of our Garden of International Significance, a great gift to show off to others the beauty of Dunedin. $15 each. Wander into the Botanic Garden Information Centre (10am-4pm every day) to purchase this uniquely Dunedin calendar. In conjunction with The Otago Homeshow. Take 5 photos viewed from the street before any tidying up commences and send them in by 15 December. After photos, taken from the same location for comparison, are required by 21 February. Categories: Streets with up to 10 homes; streets between 10 and 20 homes (or sections of larger streets). Judges will be looking for litter and graffiti free streets, footpaths and frontages; fences, letterboxes, garages/carports tidy and in safe condition; tidy gardens and/or trees/hedges/lawns; use of frontages. Improvements should not be costly, just may take a bit of muscle power and cooperation to clean up. Winners will be announced at the Otago Homeshow on March 4 2012. For more information or entry forms contact Keep Dunedin Beautiful Darlene Thomson dethomso@dcc.govt.nz or collect from the DCC ground floor. phone 474 3401 fax 4743451 available Tuesday to Thursday. 26th Thursday in January 2012 -topic is the NEV Community Development Programme. GreenDrinks is an international movement to support informal networking among people who work in the environmental field. To find out more about GreenDrinks International go to www.greendrinks.org. GreenDrinks Dunedin is organised by the Sustainable Dunedin City Society and is made up of persons who are interested in the issues of climate change, declining energy security and sustainability, as they affect Dunedin City. The Society is not affiliated with any political party and aims to facilitate a positive, secure and sustainable future for Dunedin City in the face of challenges posed by climate change, declining energy security, and unsustainable resource use.. For more information or to join go to www.sustainabledunedincity.org.nz or email secretary@sustainabledunedincity.org.nz. To get on the GreenDrinks Dunedin elist – or to host a GreenDrinks – please contact Maureen on mhoward@slingshot.co.nz. You can help. 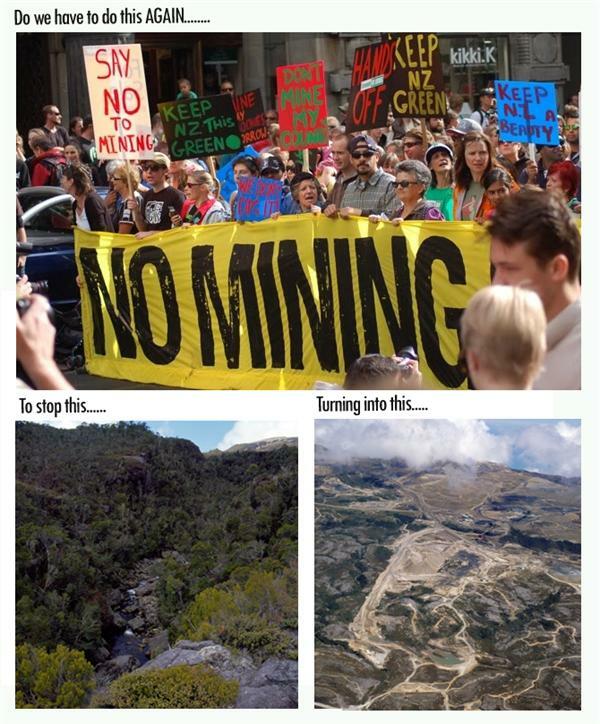 Please send this e-card (http://www.forestandbird.org.nz/what-we-do/campaigns/save-the-denniston-plateauours-not-mine/send-john-key-e-card) to Prime Minister John Key today to ask him to keep his government’s promise. Thank you very much from Forest & Bird.